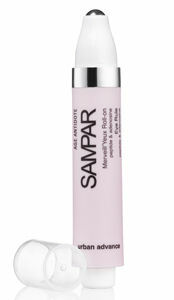 L to R: Cynthia Nixon and Sampar Eye Rule ($78 at www.Beauty360.com) with adenosine and peptides, which hydrates, refreshes and smooths the delicate skin around the eye area. 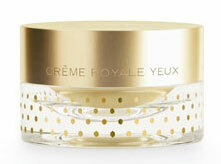 Orlane Crème Royale Eye Contour ($300 at www.NeimanMarcus.com) with 24-K gold and royal jelly. Matin uses this eye cream on Ms. Nixon’s cheekbones to highlight them.